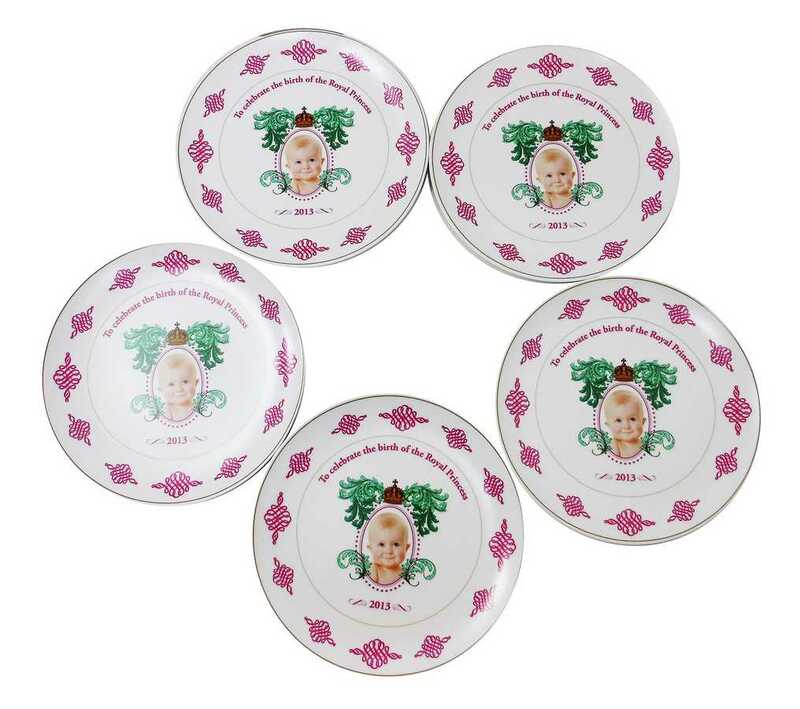 Princess of Cambridge plates in pink for our future monarch? A crock of gold? 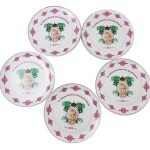 Our Princess of Cambridge plates! We all knew the Duke and Duchess of Cambridge were going to be safely delivered of a Princess, didn’t we? The world was agog, waiting for news. Rumours in the media were rife. The Sun noted on 5th July 2013 for example, The Sun that she was expecting a daughter. 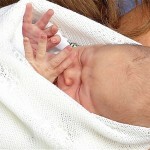 Entertainmentwise.com wrote that The Duchess’s black sheep Uncle had said he ‘suspected’ it was a girl. The Mirror on 13th March, 2013 satted that the Duchess of Cambridge had dopped ‘huge hints’ that she was expecting a girl . The country had even ratified a change in the primogeniture laws that prevented a girl from inheriting the throne if she was followed by a brother. No longer would a brother be guaranteed the throne. That was a huge change and would have been the first time in British history that a princess with a brother would have inherited the throne as a right. The Princess of Cambridge. Oh dear. So spare a though then for us at Wholesale Clearance. We had sweep stakes in operation, caught up in Royal baby fever. We had the radio on all the time waiting for news. Yes, we were totally swallowed up by the hype along with everyone else. So it seemed like a no brainer when an opportunity arose to secure some Royal Baby Memorabilia. A local business (who shall remain nameless), received an inside tip on the gender of the royal baby from a supposedly reputable source. May be it was Kate’s Uncle. Maybe it was a tabloid journalist. 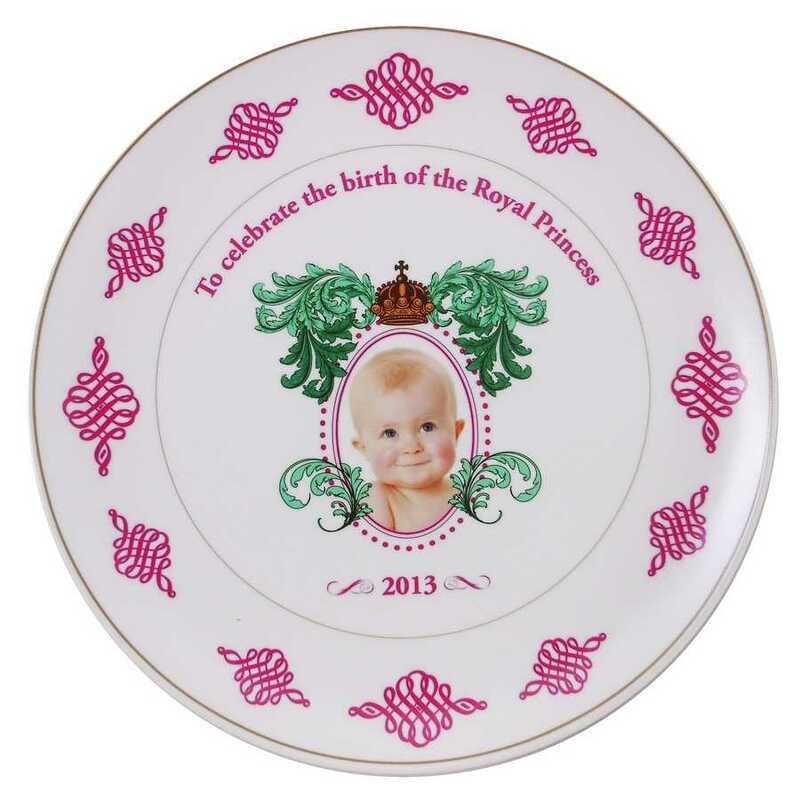 In any case they felt completely confident that their inside man was right, and trusting their instincts they ran a print run of 5,000 commemorative plates celebrating the birth of the Royal baby. The proud parents in matching baby BLUE! That’s blue … not pink. 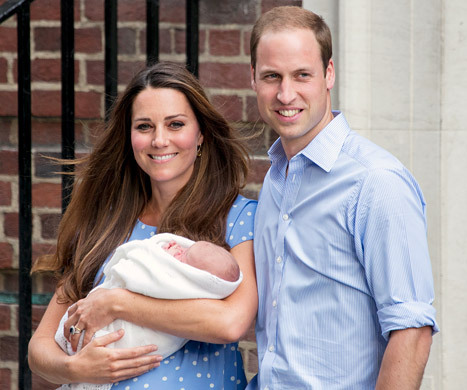 Alexander Louis was born on 22nd July 2013. And he’s a he – not a she. Here at Wholesale Clearance we heard of this misfortune and decided that all these pretty pink plates would make a great addition to our Novelty section, and so we secured all 5,000 of them. The stock is now stored safely in our warehouse, albeit minus several that were broken in an internal plate smashing contest. Whoops! You can find them here. A job lot of 50 will cost you £149.00. That’s a mere £2.98 each! Bargain! Hello Prince George. We’re pleased to see you! So how about grabbing yourself a complete bargain. We’re selling them in joblots of 50 and we think there are plenty of things you can do with them. If you fancy owning a piece of (inaccurate) history, snap them up before it’s too late! It’s the perfect postmodern souvenir. A real emblem of our times. In addition to selling off the plates in joblots you can also watch out for our auctions. We’re going to auction some of the plates and give 100% of the proceeds to charities. Why not let us know what uses old crockery can be put to? Hey! Be nice! The sun isn’t shining anywhere today! I’ll post some follow up suggestions for use of the plates in a day or two. For now, get shopping!